I had decided, strangely enough, that I was going to close down my studio to the public from February 2015, and only keep a few of my regular clients on my books. The reason being, I've been teaching in Dar es salaam for the past five years now and really felt this calling to move on and do other stuff that interest me. I'm not going to get into that here, but it's all to do with the music business if you must know. But then I had a change of heart a couple of days ago. I thought, well, why don't I raise my fees to $200 for private lessons? I figured, with rates up, the workload will likely go down, thereby creating a bit more time and space for me to create workable online training modules that could be customized to an individual's needs using WhatsApp as a means to communicate and transmit working files--and that I would offer this service for FREE as my way of giving back to this community. As it is, I'm already reaching out to people nationwide with my Letters from A Vocal Coach newspaper column in Business Times -- published every Friday, so why not extend a more physical approach and service to singers by going online! The only drawback for the student in this case is that they'll really have to pull their weight on this one. No time for lazing about and procrastinating. They'll have to WORK it! But results are very much attainable--beyond the shadow of a doubt. SO, here's my offer. Hit me up on WhatsApp and simply SMS me your name to get started. It's really easy, I've already done the pilot with a few people and I know it works. So if you want to give this a go, I'll catch you on the other side! Speech-level singing is a way of using your voice that allows you to sing freely and clearly anywhere in your range, with all your words clearly understood. Since you are not learning what to sing but rather how to sing, you can apply this technique to any type of music. Although you can study either with or without a teacher, you'll probably progress more easily and faster if you can find a teacher familiar with this method of teaching to guide you. Otherwise, you should be able to study successfully on your own. I assure you, providing you put in some work and stick with the program, you WILL get results by following my instructions here. Please note, any exercise can be overworked or misused to where it will do you more harm than good. You don't develop your voice by pushing it to its limit. You develop it by gradually conditioning it to work efficiently with a balanced coordination. I've uploaded a breathing exercise and piano scales to vocal exercises on Hulkshare. Please download for FREE and follow the Alternative Vocal Workout plan published on this blog. I would like as many people to take advantage of this quick training module, so please do feel free to share this blog post! FREE Singing Tips Video. Discover How To Become A Better Singer In Just Days. Click Here! Have fun, and catch up with you later! Question is: CAN you lose your ability to sing? Well, you most certainly can! In this article, I’m going to take a closer look at Mariah Carey’s recent, embarrassing performances that suggest the global star and icon – famous for her five octave range – is on her way down. Her fall from grace began in Tokyo, when she kicked off her Elusive Chanteuse World Tour October 4, 2014, at the Makuhari Messe Arena wherein the singer caused all kinds of backlash when she appeared to miss some top notes – with many telling her to quit now. Worse yet, when she performed her beloved holiday classic “All I Want For Christmas Is You” at the Wednesday, Dec. 3 Tree Lighting Ceremony in NYC’s Rockefeller Center, the world went into utter shock and dismay at her so obviously diminished vocal range. I’ve analyzed the video – including Concourse's newly released isolated vocal track (below) and I have to say, her low notes were dreadful and her high notes were practically nonexistent. She bombed miserably. So what on earth happened to Mariah Carey’s voice? Well let’s find out. "It's a wrap for Mariah Carey's singing career," one fan wrote, while another added: "Mariah Carey should've bowed out right when her voice was giving out—save herself the embarrassment." Another fan wrote: "I see why Mariah Carey never sings live anymore. That's why." And this particular comment caught my attention: “Mariah had a great voice. If she's serious about her singing, she needs to hone her skills again and start being more disciplined. Barbra Streisand is almost twice her age and can still hit higher notes than Mariah. Dump the diva antics and start working with a vocal coach!” I’ll tell you this. Your voice is not forever. Never take it for granted. It can only get better with age, but only when you continue to train and look after it. So what then could be the reasons why Mariah Carey’s voice is falling apart? From a professional standpoint—and I’m not going to speculate—I’m simply going to fill in the gaps for you as quickly as possible. Firstly, there have been reports in the media (and of her own very public admission actually), that what with her marriage to Nick Cannon appearing to be over, sources claim the diva singer is drinking her sorrows away by sipping on champagne until dawn and obsessing over why the America’s Got Talent host left her. Drinking excessively doesn’t help her voice (Whitney Houston drank, smoked AND took drugs and look at what happened to her towards the end of her life—she lost her voice!) If you're a singer, your body is your instrument. Improper care of it over long periods of time will become evident in the sound of your voice. Younger bodies, having less exposure to external influences, are more resilient. But with each passing year your body will manifest the signs of these deteriorating influences—and this afflicts both the untrained as well as the technically developed voice. I’m not saying don’t drink at all—just drink in moderation if you absolutely have to. Mariah Carey has trained her voice her entire life. You don’t get to sing like that without proper vocal training. Period! Therefore, I’d be very surprised if she would embark on a world tour without voice training. That said, and taking into account her current situation with Nick Cannon, and most likely her lack of focus because of it—not to mention her purported high levels of alcohol intake—it doesn’t surprise me at all that her notes would fall flat. Focus! Alcohol aside—even if she didn’t drink—without focus and adequate rest, you’ll get the same negative results. I’m not defending her. I’m only stating the obvious based on what I know about the human voice. I hope this article helps you understand better the importance of taking care of your voice and what can happen if you don’t—IF you want to sing that is. Your body is your instrument. You owe it to yourself to look after it. I take Advanced Liquid Nutrition daily, it is a one-of-a-kind, all-natural liquid supplement designed to promote robust health. Why take a liquid nutrition? One word--ABSORPTION!!! The nutrients in Advanced Liquid Nutrition are up to 98% absorbable. SUPERIOR SINGING METHOD. FREE Singing Tips Video. Discover How To Become A Better Singer In Just Days Here! Thanks for dropping by my blog, please share. And on that note, I hope these testimonials have shed some light on what goes into preparing and nurturing the vocals of some of the biggest pop stars in the world. I certainly do hope this inspires you. 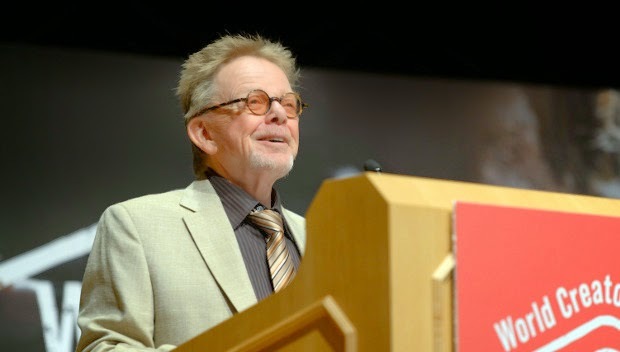 ASCAP President and award-winning songwriter Paul Williams has been announced as a keynote speaker at Midem, the international music business conference set to take place in Cannes, France from June 5th - 8th of 2015. Central to Williams’s speech will be the great importance of music to our lives. “I want to talk about the social gift that all creators provide,” Williams told Variety. “Gathered at Midem are people who reach into the center of their chest, and others who assist those creators, offering a message that comforts the world.” Read the full article here. I've been a member of the American Society Of Composers, Authors And Publishers (ASCAP) since 2011, on the back of my 2010/11 comeback single I Could Never Live (Without Your Love). Quite literally, it was the song that gained me membership to ASCAP. Since then, more songs have followed into my ASCAP-registered catalog, and if I'm honest, my work towards establishing a songwriting career has only just begun in earnest (good things take time), and is beginning to unfold in more ways than I ever imagined possible on the international music arena. Not a lot is happening in Tanzania, it has to be said. You'll hardly hear my records on the radio and aside from my 90s fan base, very few people know this side of me. I'm famous as a vocal coach now (which is nice), but certainly not for my music. Not in Tanzania anyway. Thing is, I donot MAKE music for the local market and I'm not willing to localize my music to conform. I do what makes me tick. But let's look at the bright side. Color Me Beautiful has enjoyed radio rotation in the USA to the tune of over a thousand spins a week, not to mention top A&R from major US record labels have taken an interest in my work and are practically knocking on my door. It is nice to be appreciated by music industry executives at the top their game. It makes it all worthwhile. 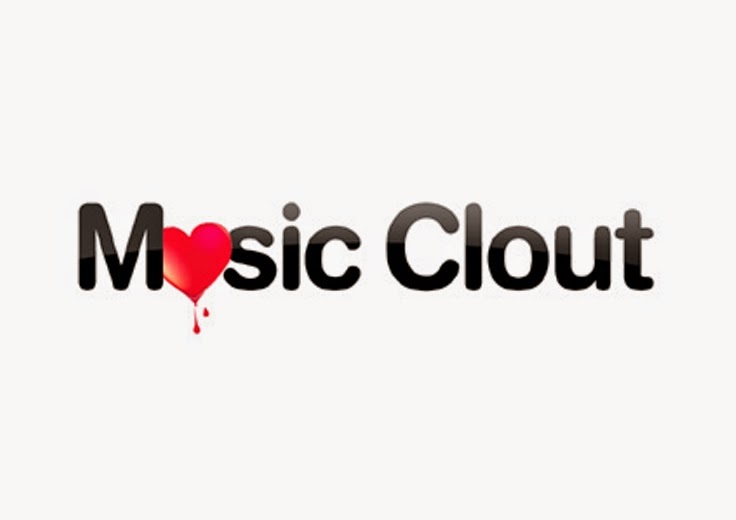 And so I joined Music Clout as a Platimum Member to spearhead my networking endeavors for my international music publishing label Joett Music Publishing. And the truth be told, I'm SO glad I did! It's quite amazing how many music industry contacts are on there AND in search of all manner of things from blogging to A&R, distribution and licensing to magazine feature opportunities and radio exposure...it's an incredibly vast database of music industry movers and shakers on the move. I love it! And I absolutely intend to make very good use of this resource. Keep up the great work, guys. You rock! Speech Therapy: The Key to Finding Your True Singing Voice! PUBLISHED IN BUSINESS TIMES NEWSPAPER 28/11/2014 == How you speak could very easily prevent you from harnessing your full potential when you sing. Often referred to as your chest voice, your speaking voice -- in singing -- is in your lower register. The trouble is, if your voice -- when you speak -- lacks clarity, power, balance, consistency and resonance, chances are you will likely fall short of the basic qualities needed to becoming a better singer. Singing is defined as sustained speech over a broad range of connected notes using vibrato, dynamics and emotive interpretation. ‘Connective’ being the operative word -- and the reason why this article can help you understand better, the reasons why speech level singing can tremendously improve the quality of your voice. As a vocal coach, I have seen countless people walk into my studio and make the same mistake over and over again -- they start to sing on a high octave and completely ignore their true voice -- the lower register. In some cases this tendency is so endemic it takes many lessons to help them kick the habit. When you ONLY sing at the top of your range, where else can you go? Doing this seriously limits your range. I always point this out to my students: make sure you use your lower register -- it helps keep you grounded, not to mention, it helps you expand your range effortlessly. I’ll give you a very useful tip. Get some old records from yesteryear and have a listen to those. 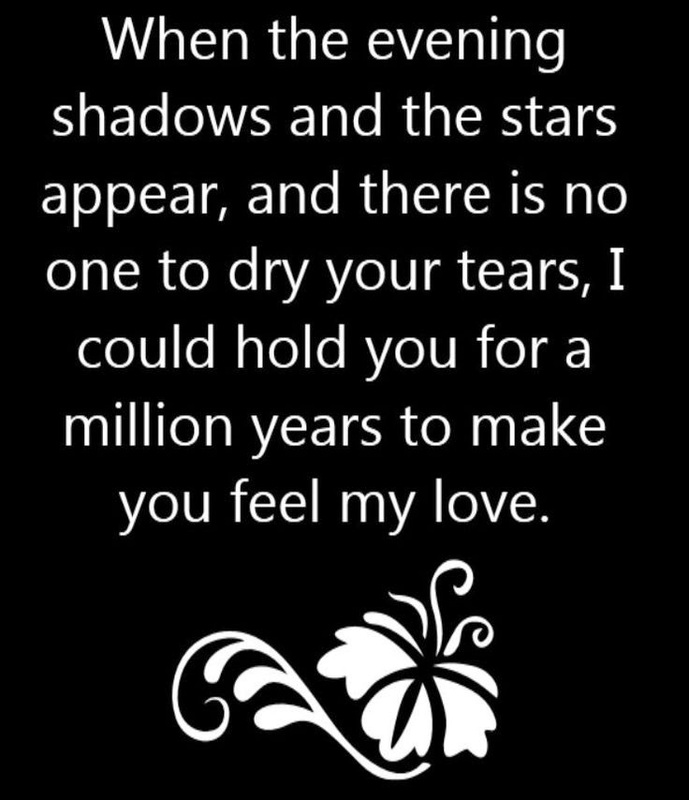 Listen to Frank Sinatra (Strangers in the Night), Shirley Bassey (Goldfinger), Julie London (Cry Me a River), Tom Jones (Yesterday), Nat King Cole (Unforgettable), Andy Williams/Nancy Sinatra/Barbara Streisand (Shadow of Your Smile) and you will see that they all have one thing in common. They use their lower register -- a lot. What I like about old songs is they were very well composed… and made to sound simple and easy to sing. Well, because I use a lot of these songs in my jam sessions with the students I vocal coach, they will all attest to the fact that these songs are far from easy to sing…even though they may sound so, they’re quite the contrary. All the more reason, I say, to practice with these enormous classics. If I’m honest, when I was a kid, THIS is how I learned to sing. Try speaking the following well-chosen sentences into a tape recorder and LISTEN to your voice very carefully. If you don’t like what you hear, chances are you're not speaking in your true voice. So: work on CHANGING the way you speak by using your lower register to speak (as low as you can get); and then try to sing in that same (lower) register, and work your way up the scale. Use that (lower register) as your base voice (your foundation). You'll be amazed what a huge difference it can make to your singing voice. So, speak the following words, and then try singing them. In summary: An amateur singer, in most cases (watch and observe), will use ONLY their upper register (or thereabouts) when they sing, limiting their range and the quality of their voice with this one endemic singing faux pas. Combine your lower and upper registers to deliver a well balanced vocal range. Turn to old records for inspiration. It worked for me, I’m sure it’ll work for you. Listen to Frank Sinatra, Shirley Bassey, Julie London, Nat King Cole, Tom Jones, Andy Williams and you will see that they all have something in common. They all use their lower register and work their way up the scale. The next time you find yourself singing at the top of your range from start to finish, stop and go back to basics. Work your way into a song from the ground up. You’ll only discover your true voice when you use your lower register. For piano scales backing tracks to do the scales with, please download FREE mp3 from my HulkShare page here! PUBLISHED IN BUSINESS TIMES NEWSPAPER 21/11/2014 == This is a typical one. Inadequate breath and bad placement cause the corroded vocals you may be experiencing, when you sing. I will elaborate on this. If you sense that your vocal chords actually hurt when you sing, and that your tone is strained and somewhat displaced, then you certainly ARE corroding your vocals when you sing. I think the first thing you need to ask yourself is why is it that when you speak everything seems normal, yet it is quite the contrary when you sing? Does it make any bit of sense to you that when you speak you’re alright and when you sing – suddenly, your vocals are all stressed out and worse yet, you’re hurting? This short article will offer tips on how to go back to basics, relax; how to stop panicking and stressing out your vocal chords; and how to get on with it--smoothly. Inadequate breath flowing through your vocal chords as you sing is the number one stumbling block (no doubt about it). You must have sufficient breath flowing through that area when you sing. How to fix the problem? Start by opening your mouth wide and just breathe out HAAAA. Make sure you’re not emitting any sound when you do this. Only release the breath. Now, once you’ve got the hang of this, repeat this exercise whilst adding just a bit of voice to it. Gradually increase your voice in small increments whilst ensuring that it stays SMOOTH—in that you’re not feeling any pain or corrosion in that area. Once you’ve struck the ideal balance, use that same balance when you sing ANY song. You’ll not only sound great, you’ll feel a lot better and more in control of what you’re doing. Applying both the soft and hard tones when you vocalize is also a good combination. The less predictable the better and more interesting you get to sound. Ideally, you’ll want the listener to hear a clear and brighter vocal with a rich blend of tones that combine the smooth with the harder, more edgy embellishments. This helps to quickly capture the attention of your audience. So the next time you’re struggling and falling flat on your notes, remember that all you need to do is breathe. My Letters from A Vocal Coach column is published in Business Times Newspaper every Friday. For great singing tips, grab a copy! I met Vanessa Mdee at a mutual friend's funeral in 2010 (of all places). The first thing that struck me about her was that she was EXTREMELY beautiful. I approached her and I remember saying to her..."you're such a pretty girl, you look like a movie star. Who are you?" (Yes, I can be pretty bold). And she smiled, laughed a little, said thank you and then she gave me her business card. At the time, she was MTV rep. And then I gave her MY card...and she went... "WHAT! You're JOETT?" And I said, "Yes, I am!" "OMG, I've heard so much about you, I see your ad in Advertising Dar all the time," she went on. I'm always amazed when people recognize my name. I don't show my face a lot -- especially in the old days I didn't (I hate images), but the brand certainly does do the rounds through advertising and word-of-mouth. And then she asked me if I would train her. I asked if she was a singer, and she said she wasn't, but that she wanted to get into the business after she'd had the training. She wanted to do this properly I recall her saying. And I said, "no problem, come to my studio and I will train you." Vanessa is not only one of my best pupils, she's certainly one of my favorite pupils. Yes, because she's exceptionally talented and works REALLY hard to hone her craft. She knows what she wants. And that's what this business is about. It's about commitment. Wanting to do this properly. I think Vanessa Mdee is a shining example of what you can achieve when you put in the time and effort to achieve your dreams. And Vanessa is such a darling. She tells everybody about me and refers a lot of people to me. A very good human being, she is. And what I particularly admire about her is that she got there in the end...through sheer hard work, AND continues to train. Diligently. She is smart enough to realize that vocal training is a continuum. There is no end to it. IF you want to WORK as a singer you'll have to continue to train. 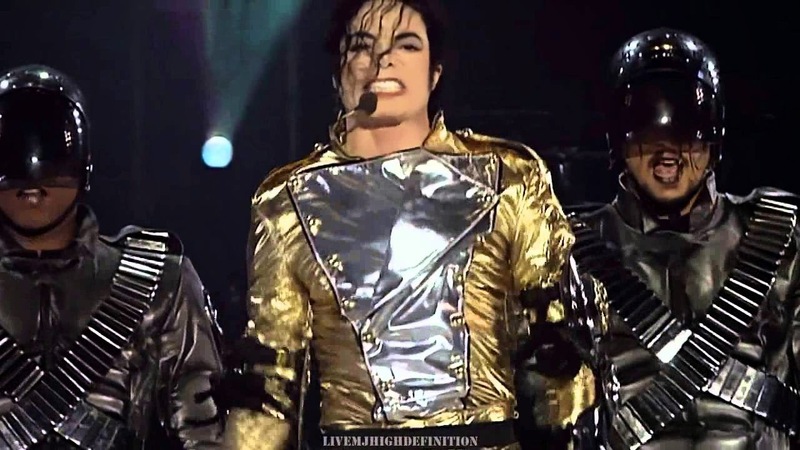 Come on guys, Michael Jackson trained his voice till the day he died. I am SO very truly proud of Vanessa. She will always have my support, and I wish her all the success in the world. PUBLISHED IN BUSINESS TIMES OCTOBER 24TH 2014 -- If you want to sing, voice training is absolutely essential. In this article, rather than try to impress upon you how critically important a vocal coach is to a singer, I’ve opted to compile the first installment for you to digest on What the Stars Have to Say. 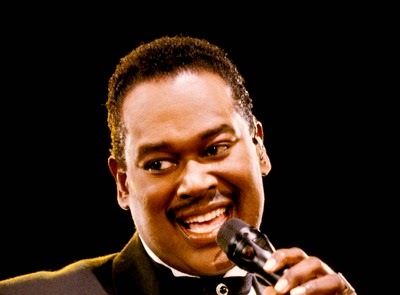 In Conclusion: If at all you had doubts as to the importance of voice training, these testimonials from Michael Jackson, Luther Vandross and Quincy Jones should sway your opinion. And if you want to consider private voice lessons in-studio or online, that will teach you the very same technique used by Michael Jackson and Luther Vandross in training, Dar es salaam has such a vocal coach at your disposal. Yes, you heard that right. I’m here to help. For international long-distance learning programs please contact me. Airtel Trace Music Star: New Opportunity for Young Singers? Singing competitions scale an all new high note with this one: auditioning by submitting your vocals? Phwoar, who would've thought this was even possible in the 90s. I must admit though, that I do like the sound of this. So much so that I actually picked up the phone and rang an Airtel executive to find out more about this and to offer my professional support to aspiring contestants. Well, in my capacity as vocal coach (independent of Airtel) I've taken it upon myself to try to help out those of you who want to audition, but want to get some vocal training before you do. In recent weeks (I remember posting this on Facebook), I've been offering free voice lessons via WhatsApp. And it works pretty effectively. 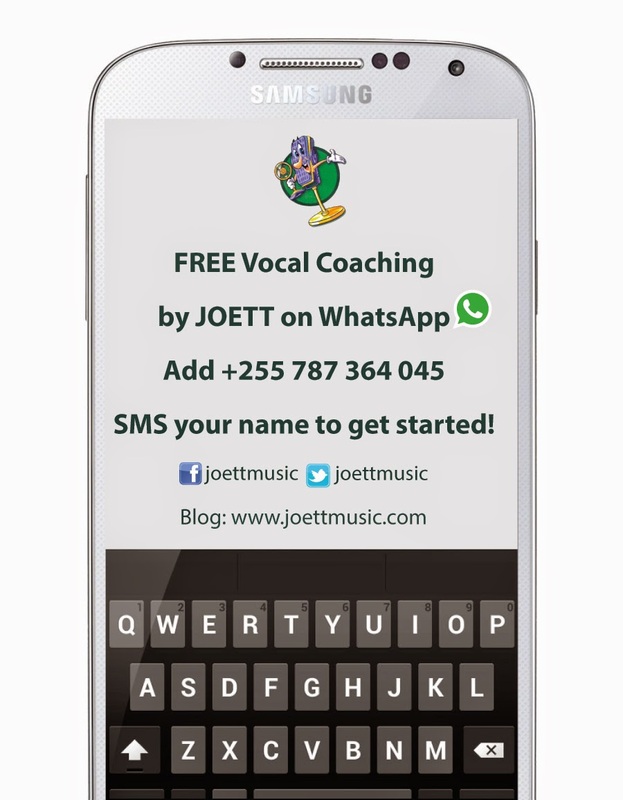 All you need to do is sing into your WhatsApp recorder and to send that to me on +255 787 364 045. I will listen to your voice and give you some feedback. NEXT STEP: I'll recommend a training program for you -- you'll download the piano scales from JoettVoiceStudio on VoiceHulkshare -- and then I will record an example of the exercises you need to do on WhatsApp to guide you. It's really that simple. And it won't cost you a penny. Isn't that SO nice? Joett Music Publishing via ASCAP, USA. G Fullah alifariki siku ya Jumapili tarehe 5 Octoba 2014 hospitali ya Muhimbili, Dar es salaam, akazikwa siku ya Jumatatu tarehe 6 Octoba makaburi ya Kinondoni. Marehemu alikua akisumbuliwa na tatizo la upungufu wa damu. Alifariki siku nane kabla singo yake ya kwanza "I'm Gonna Live Forever" kutoka, ambayo ameshirikishwa kwenye singo ya Joett pamoja na kundi la vijana (boyband) wa kitanzania Level One. Jina lake kamili, Furaha Mwaigomole, alifariki akiwa na umri wa miaka 28. Ameacha mtoto mwenye umri wa miaka 11. Mungu ailaze roho yake pahali pema peponi. Amen. 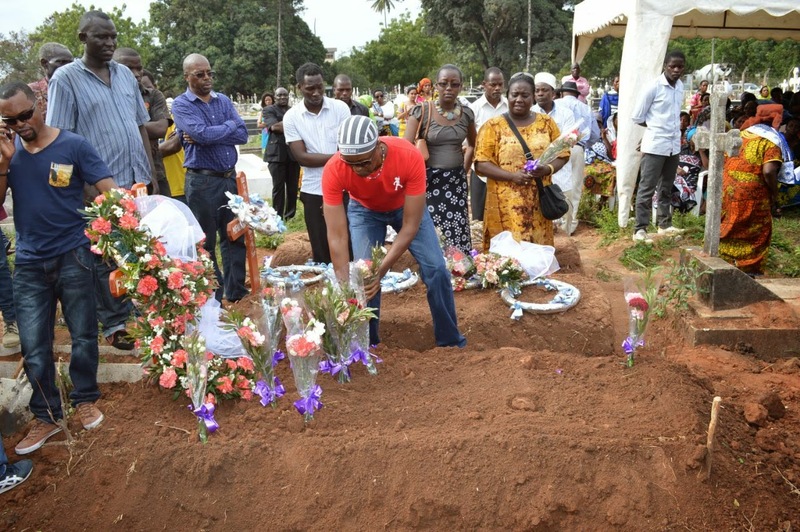 G Fullah died on Sunday October 5th 2014 at Muhimbili Hospital in Dar es salaam, and was buried at Kinondoni Cemetery Monday October 6th. He suffered from anemia. 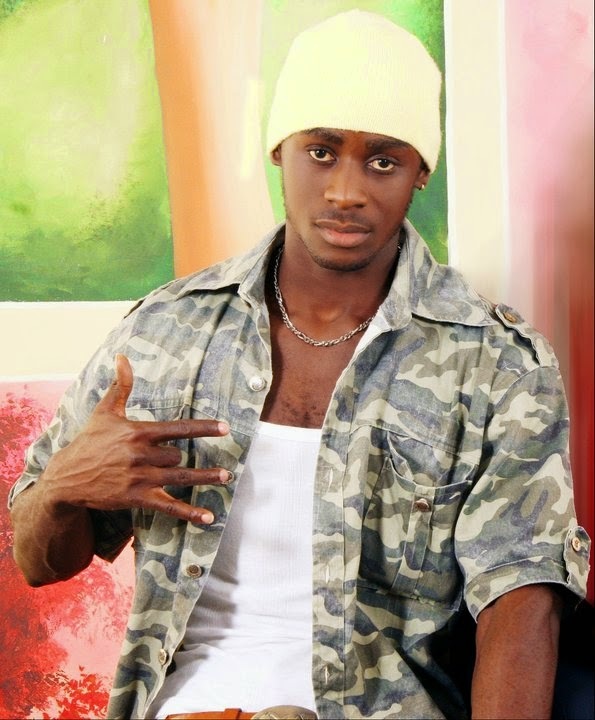 He died eight days before the release of his debut single "I'm Gonna Live Forever" October 13th, in which he appears as featured artist on Joett's single alongside Tanzanian boyband Level One. 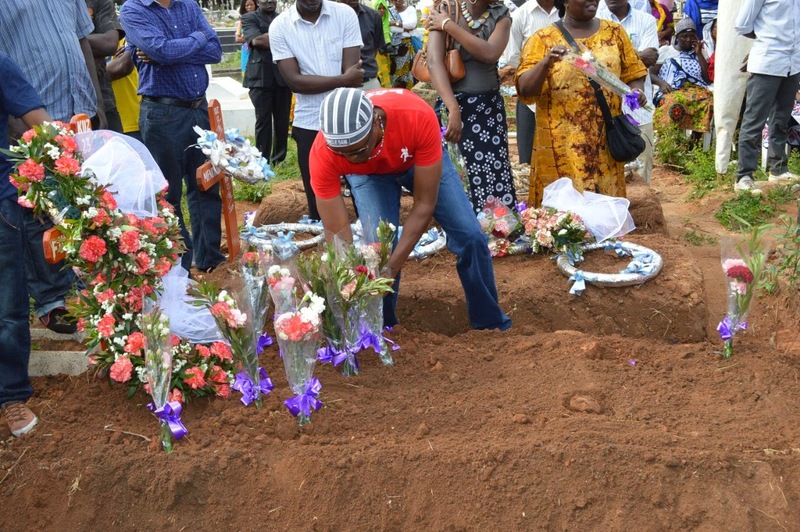 His real name is Furaha Mwaigomole, and he was 28 years of age. He is survived by an 11-year-old son. RIP G Fullah. Releasing Monday 13th October 2014, I'm Gonna Live Forever is a Nu Disco dance track by Tanzanian artists Joett ft. G Fullah & Level One. The single will be available on Tanzania's Mkito.com as well as on all major online stores worldwide: iTunes, Amazon, Spotify, Amazon Music, Rhapsody, XBox Music, eMusic, Google Play and more. I was SHOCKED to hear of his death this morning. According to his family he was very ill and had been hospitalized. 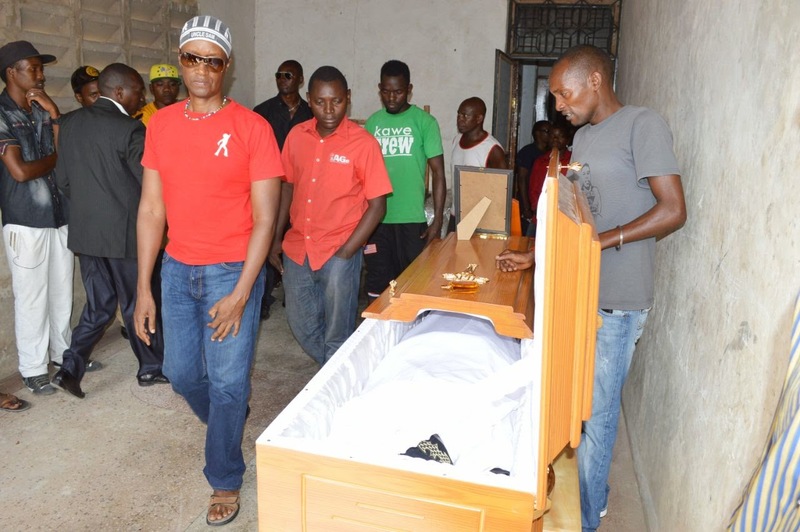 Earlier, he'd been diagnosed with Leukemie by the Mwananyamala Hospital, but later, at a different hospital prior to his death, that diagnosis had not been confirmed. This is very tragic and devastating, to say the least. I discovered G Fullah on ITV's Hawavumi Lakini Wamo last year and he immediately inspired me to form a boyband. And so I rang ITV to ask them to connect me with him. Fullah came to my studio, and I began to vocal coach him while I talent searched for other boys to join the band which I went on to name 3G. Mrembo Wa Kiafrika, which was penned by Fullah and rearranged by myself, was the first recording for the boys--now three: Frankie G, Ozbitala and G Fullah. We completed the acoustic recording and the plan was to have a more commercial version to put out to market. And so a couple of months ago I put the track online just as a feeler, to see how people would respond to it. And then I decided I was going to ask Lamar to remix the track into the currently popular mchiriku style (I haven't asked him yet, but I got my London producer to send me the vocal stems and I was just about to give them to Lamar). In the meantime, a sped-up version of his rap section in Mrembo Wa Kiafrika, created by my London producer Patrick Jonsson and later mixed and mastered by King Penn in Atlanta, USA., landed on my latest single I'm Gonna Live Forever due out October 13th, in which Fullah is now a featured artist. This was to be his launch pad. I wanted to give him this platform, along with another boyband I'd formed and named Level One. I had plans for G Fullah. And I had a feeling this was going to make him a HUGE star. But, my gosh. He's gone too soon! I remember when I contacted him on September 14th to inform him that he was on my single, he was so very excited. We planned to meet the following week, but somehow I got tangled up with a heavy schedule. I SMSed him September 27th, and didn't get a reply. Tried again October 1st, and didn't get a reply. And so I tried calling but never got through. I was with my video director Meja last night discussing plans for the video, when I mentioned that Fullah had somehow vanished and that I was very worried about him. This morning, the news of his death hits me like a bullet. I'm lost for words. Where do we go from here? First of all, I have decided that I will be dedicating the video to G Fullah. I've already discussed that with my director. We both agree it is the right thing to do. It's been a long day. I've shed a lot of tears. The funeral is tomorrow. I'm closing down my studio tomorrow and I will be heading out to his family home in Mbezi Beach. Fullah was such a nice, gentle and kind human being. Very patient, and always considerate of others. I wonderful soul. May the good Lord rest his soul in eternal peace. Amen. Niliwasiliana na G Fullah mara ya mwisho tarehe 14 September. Nilikua ninampa taarfia kwamba yumo kwenye singo yangu mpya aki-chana, na kwamba mixing na mastering inafanywa Marekani, na akafurahi sana. Nikamwambia nitamuita wiki ifuatayo tuje kuongea zaidi kuhusu project yetu. Ile wiki ilyofuatia sikumwita. Nilibanwa sana kikazi. Nikaja kumtumia SMS tarehe 27 Septemba lakini hakujibu. Nikajaribu tena tarehe 1 Octoba, hakujibu. Nikapiga simu mara kibao, hapatikani. Jana jioni nilikua na video producer wangu Meja tukijadili mikakati ya kutengeneza video, nikamwambia Fullah kapotea. Sijui yuko wapi. Nilikua na hofu sana. Cha ajabu, asubuhi ya leo napata habari ya kwamba mwenzetu amefariki leo asubuhi, na kwamba alikua anaumwa sana. Nimetoka kuongea na shemeji yako hivi punde, na kaniambia wanaterajia kumzika kesho. Kwao wanapoishi familia yake na palipo msiba ni Mbezi Beach. wangu kwenye lebo yangu Joett Music, nimehuzunishwa sana na kifo cha G Fullah. Singo yangu mpya ambayo nimemshirikisha yeye pamoja na vijana wa Level One (ambao pia ni wasanii wangu), tunaiachia rasmi Octoba 13, na nimeamua kwamba nita dedicate the video to him. Tunaterajia ku-shoot baada ya wiki kadhaa, na mapaka hapo tutakapokamilisha zoezi hilo, nina muomba mungu atupe nguvu katika wakati huu mgumu. Fullah alikua ni mtu mzuri, mkarimu na mwenye subra na upendo kwa jamii iliomzunguka. Nawapa pole wanafamilia, ndugu na marafiki zake wote. Mola ailaze roho yake pema peponi. PRESS RELEASE Octoba 1, 2014 -- Mwalimu wa kuimba na msanii wa ku-rekodi miondoko ya pop – Joett, anaachia singo yake mpya I’m Gonna Live Forever Octoba 13 2014, ambayo amewashirikisha wasanii wa bongo flava G Fullah na kundi la vijana wa kiume (boyband) lijulikanalo kama Level One. Vocals za trak hii zilirekodiwa na Max Rioba pale Authentic Records, Dar es salaam, na kuandaliwa na producer mahiri nchini Uingereza, Patrick Jonsson, ambae amefanya kazi na Joett kwa kipindi kirefu. Mixing pamoja na mastering ya trak hiyo imefanyika na sound engineer na producer King Penn (KP), wa Atlanta, Marekani, ambae amefanya kazi na lebo ya Madonna ijulikanayo kama Maverick; Warner Bros, EMI, Beyonce, Solange, Columbia, 50 Cent, John Lennon Songwriters, MCA, The Big Boy Records, Def Jam, Dallas Austin, na mamia ya wasanii wa lebo ndogo zijuliakanazo kama Indie Labels. Joett, ambae hutoa singo moja tu kwa mawaka, aliamua kuwashirikisha vijana hawa ili kuwapa fursa ya kutoka katika viwango vya kimataifa, na amedhamiria kuendelea kufanya hivyo kwa miaka ijayo. “Ningependa sana kukuza vijana katika tasnia hii ya mziki, na hasa kuwashukuru mashabik pamoja na wadau wa mziki kwa ushirikiano wao enedelevu,” alisema Joett. G Fullah alinyakuliwa na Joett toka kipindi cha ITV Hawavumi Lakini Wamo; Abdul Kagoi toka Epiq Bongo Star Search 2013; Rahym alitambulishwa kwa Joett na kaka yake, msanii wa bongo flava Mbongo Halisi, nakuchukuliwa na Joett kufundishwa kuimba. Nixon alidhaminiwa na mama yake kufundishwa sauti kwa Joett, alafu baadae Joett akamweka kwenye program yake ya misaada kwa wasanii chipukizi na hatimae kummpa mkataba wa ku-rekodi chini ya lebo yake – Joett Music. Kikundi cha Level One ni Abdul, Rahym na Nixon. Pakua trak hiyo kali kutoka tovuti la kibongo Mkito.com kuanzia Octoba 13, 2014. 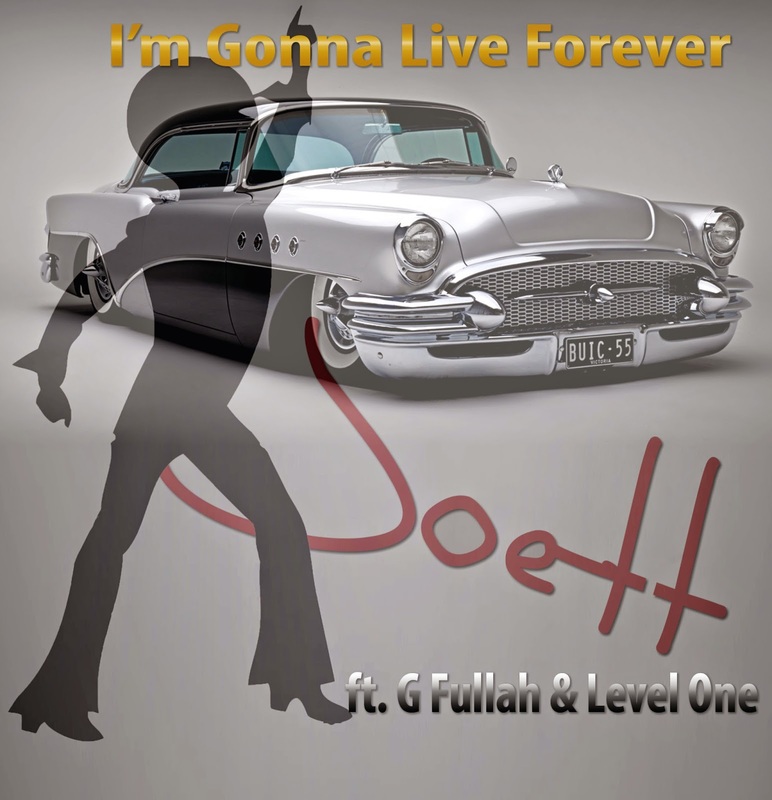 PRESS RELEASE 1st Oct 2014 -- Vocal coach and pop recording artist Joett, is releasing brand new single I’m Gonna Live Forever on Monday October 13th 2014, featuring bongo flava artist G Fullah and debuting Tanzanian boyband Level One. 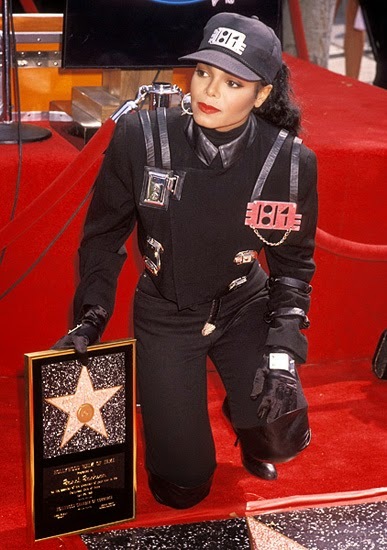 Produced by Joett’s longtime record producer, Patrick Jonsson in London, UK, the track was mixed and mastered by top Atlanta, USA-based engineer and producer King Penn (KP) – who has worked on projects for Madonna’s label Maverick, Warner Bros, EMI, Beyonce, Solange, Columbia, 50 Cent, John Lennon Songwriters, MCA, The Big Boy Records, Def Jam, Dallas Austin, and many hundreds of Indie Label Artists. Vocals were recorded by Max Rioba at Authentic Records, Dar es salaam. In a quest to help develop and launch local talent to an international standard, Joett, who only releases one single a year, has decided to feature local talent on this year’s release, and to continue with this tradition into the future. “I really want to make a difference, and I want to thank fans and local stakeholders in this industry for their continued support,” said Joett. G Fullah was discovered by Joett on ITV's Hawavumi Lakini Wamo; Abdul Kagoi on Epiq Bongo Star Search 2013; Rahym was introduced to Joett by his brother, bongo flava artist Mbongo Halisi, and was taken under Joett’s wing for vocal training. Nixon's mother sponsored him for voice lessons with Joett, and was later placed on Joett’s pro-bono Artist Development Program, and eventually signed to the Joett Music label. 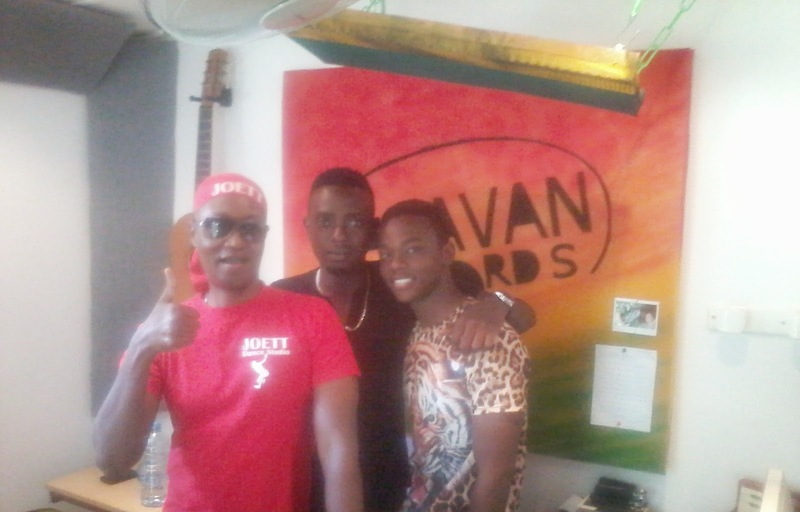 Tanzanian boyband Level One are Abdul, Rahym and Nixon. If you’re planning on going in for a recording session anytime soon, you’ll want to prepare the voice for the song you’re going to record. It breaks my heart to see people rushing to recording studios unprepared. You’re making a record for crying out loud! You want it to be good, right? So put in some time and effort to perfecting your voice for the song you intend to record. This article will guide you through the simplest and most effective steps to getting that voice ready for your studio recording session. Now let’s assume you already know what you’re going to record; and that you’ve been rehearsing the song over and over again and perhaps you’ve already memorized the lyrics. Sorry to burst your bubble, but that isn’t quite enough. 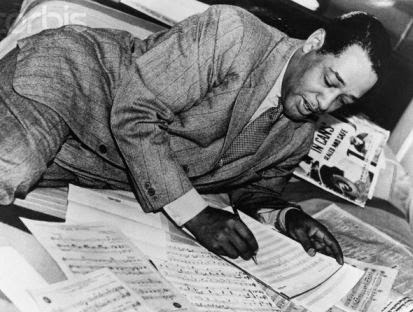 To deliver a song in a manner that best suits the mood and style of the song will take much more than just committing lyrics and melody to memory. (In fact, I would highly recommend that you READ your song in the recording booth. Just make sure you’ve laminated the paper it’s written on so the microphone doesn’t pick up the sound of shuffling paper. Reading helps you focus and minimizes error). I will explain in more detail in a moment, but before I do, let me ask you one question. Do you run out of breath when you sing? If you do, then let me show you how to put an end to that with correct breathing technique. Correct breathing is vital for good singing. Imagine the note as a kite, resting on a stream of air – if there’s no air it can’t fly. In that same way, correct breathing supports your singing and enables you to hit any note you want, as loudly or as softly as you want, without hurting your voice. When we do not have enough air coming out to carry the note, it will waver and fall. Even worse, without good breathing technique, we may start to put pressure on our throats, which can cause great damage to the voice. But when you breathe correctly, everything you sing will feel and sound so much easier. Open your mouth very slowly—the same way you do when you yawn—and breathe into your abdominal area. When you’re full, simply exhale with a hiss until you’re completely deflated. Do this several times and then try to use the same breathing technique to inhale for the next note when you sing. Take baby steps. Sing a-cappella and slow down your song to create spaces between notes to breathe. You can always speed this up later to your desired tempo when you’ve mastered the breathing technique. If you practice breathing this way, for long enough, breathing to sing gets easier – especially when you need lots of air to support your singing. My next pointer is about training your voice. For the purpose of this article, I will recommend that you do something very simple and basic—especially when you’ve never done voice training before. The arpeggios exercise is simple to do, extremely versatile and highly effective. Do the arpeggios combination exercises at least once a day. There are numerous ways of doing this. Using the lip bubble, tongue trill and humming as your basic system, you will very quickly transform your voice so that you get to broaden your range and to navigate with ease within your range. As a rule, make sure that just before you head out to the recording studio on the day, do your breathing exercise and a combination of arpeggios first. IN CONCLUSION: Combine your breathing exercises with the arpeggio scales to train your voice. This will improve your voice and have you delivering tight notes sung with complete ease in the recording studio. I’ve recorded numerous breathing exercises on video, including arpeggio exercises with tongue trills, lip bubbles and humming. Run a search for “breathing exercise” and “arpeggios exercise” on this blog to locate videos and free mp3 download to the arpeggios piano track. 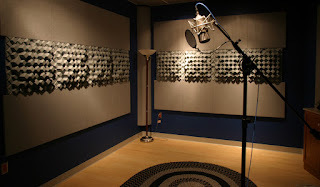 Need Professional Help with Vocal Production in Recording Studio? I’ve had half a dozen calls and inquiries for voice training today, but this ONE caller who asked if I could assist with their songwriting and recording project triggered this blog post. Now here's the question. Do you need help with your vocal production in the recording studio? I do help my students all the time. Especially those signed to my record label like boy band Level One (in picture) and 3G before them. But I'm oftentimes asked to help out by people who aren't my students. Let me say this: I'm a very busy man but whenever possible, I'm always more than willing to help--providing you get the voice training prior to your recording session to take you to the next level; and we work on your composition in my voice studio before we even set foot inside a recording studio. Sounds complicated? Well, it isn't. I will explain. I'm a stickler for high standards and if I'm going to have a hand in your project I'd really want your production to be the best that it CAN be. And with my help to prepare your voice, trust me, your success in delivering the best you possibly can is very much achievable. If that sounds like a challenge you'd like to take on, feel free to contact me. I'd be happy to assist you with vocal training AND your recording project. 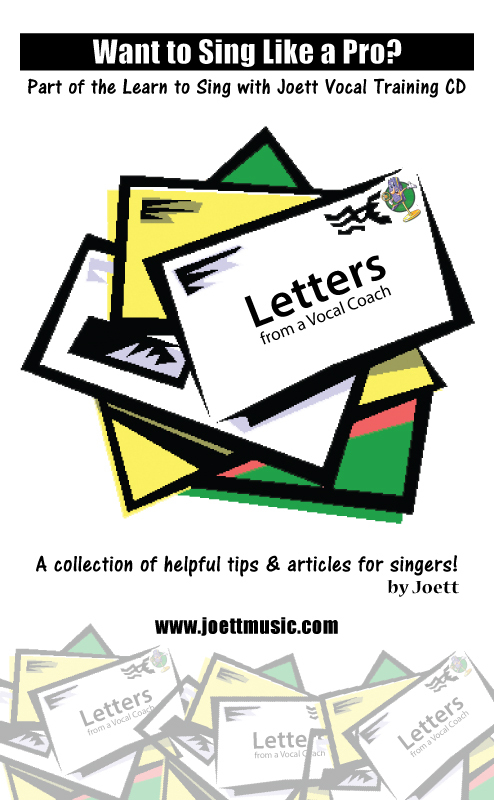 FREE Letters from A Vocal Coach E-Book here! Mr Moore writes of her delight when her nickname 'The Iron Lady' was coined in 1979 by the Soviet Red Army newspaper Red Star. It was the chance meeting that proved to be a vital turning point in the rise of Britain's most powerful post-war Prime Minister. Prior to the election of Margaret Thatcher in 1979, her adviser Gordon Reece was traveling by train from Brighton and bumped into the legendary actor Laurence Olivier. Mr Reece, a former journalist and television producer, had been tasked with overhauling Mrs Thatcher's dowdy image – and asked Olivier's advice about the problem of her voice, which critics considered too shrill. The actor arranged for her to have lessons with the speech coach at the Royal National Theatre, which helped lower her pitch and develop a calm, authoritative tone. Margaret Thatcher underwent a training programme which included special humming exercises aimed at lowering the pitch level at which she formerly spoke. From tape recordings of speeches made before and after receiving tuition, a marked difference can be very clearly heard. When they are played through an electronic pitch analyzer, it emerges that she achieved a reduction in pitch of 46 Hz, a figure which is almost half the average difference in pitch between male and female voices. Listen to the Margaret Thatcher voice before and after voice training below. You'll be amazed at her transformation. Such is the POWER of voice training, whether you're a politician, business executive or telemarketer, your number one asset is your voice. If voice lessons worked for Margaret Thatcher, voice lessons can work for you too. Over the years, in addition to training singers, I have also trained lawyers and corporate executives—the latter groups had one thing in common—they wanted to sound better, more assertive and confident when they spoke. And the feedback from my clients was that people had noticed the difference in their voice. They'd acquired a tone that people actually wanted to listen to. It’s really quite remarkable how your voice can make a world of difference to your persona. I worked in telemarketing in the UK for a while, where, the first criterion for getting hired is your voice. If you sound good over the phone, you’re hired! And needless to say, trained singers and actors oftentimes landed the job. The reason is obvious. They knew how to use their voice to grab the attention of the person on the other end of the line--because somewhere down the line, they’d been through voice training. Well, in the West if you want to sing or act, the competition is SO stiff, you'll have to get voice training for anybody to take you seriously. 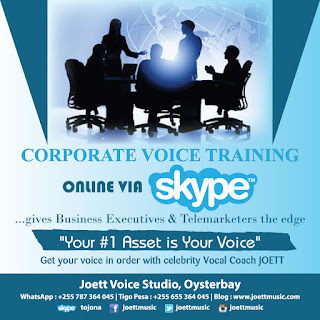 My corporate voice training programs, therefore, are tailored to individual needs. I offer the flexibility of voice training in my studio in Oysterbay... as well as over the phone to clients residing in Dar es salaam; and exclusively via SKYPE for clients based abroad. Please feel free to get in touch with me for more information. I'm asked from time to time WHAT I would recommend to preserve the voice? A hard question. And there's never one answer to this question either. I've always focused on what you SHOULDN'T do (like don't smoke, don't take cold drinks and so on). But in this article I will focus more on quite the opposite...what you SHOULD do to preserve your voice. SO: What then would aid in keeping your voice supple and healthy for a better singing voice? Well, I'm going to be completely honest with you. I take a lot of vitamins. And here's my nutritional story. And be sure to check out all the links I've included in this short article. I'm sure you're aware of the importance of taking vitamins. Your body needs them, badly. And if you are to maintain healthy cells inside your body, the same automatically applies to your voice. The benefits are all round. I use Advanced Liquid Nutrition to give my body all the nutrients it needs in the quickest time possible. Why take a liquid vitamins? One word--ABSORPTION!!! 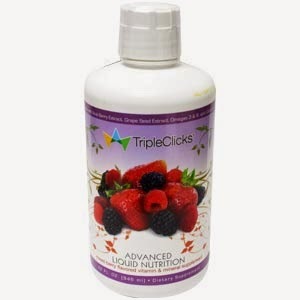 The nutrients in TripleClicks's Advanced Liquid Nutrition are up to 98% absorbable. Compare that to the less effective 5-10% absorption rate for capsules or hard-to-swallow compressed "horse pills" with unfavorable vitamin aftertastes. And if that wasn't good enough reason (for me) to go liquid, the berry flavored formula with Acai Berry Extract, Grape Seed Extract, Omegas 3 & 6, and Calcium sure is! If you've never taken antioxidants to fight free radicals invading your body from all sources the elements throw at you, then it's time you did. 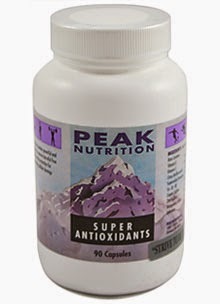 If you take this special vitamin, a very powerful Super Antioxidant Formula, it does the job. It basically neutralizes the free radicals and helps to reverse the aging process as well; and if you can achieve that, the healthier your voice will become. Let's look at it this way. When your body ages, so does your voice. And what's more, with this in your diet you are less likely to catch the flu and catarrh. Another good reason for a singer to take antioxidants--to keep throat infections at bay. And this powerful formula will not only boost your energy levels and destroy free radicals ... it will promote a healthy lifestyle. And last but not least, are you concerned about your weight? If you're in the music business, especially, I'm going to be very honest with you: how you look is critical to your success. Sorry, but that's just how the world of show business works. I didn't invent this, it's been there for generation. How you look matters. Period. Now the first problem area is the weight issue. It's easy to put on weight but very difficult to lose the weight once you've gained it...well, unless you exercise a lot and really watch what you eat (counting calories, how boring!). To throw away this tedious way of keeping your weight in check, I take Ultra Slim Down meal replacement shakes to replace up to two regular meals a day. (To make them more interesting and delicious, throw in some fruit like papaw, banana, strawberry etc. into a blender). 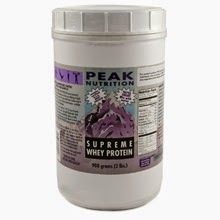 This helps with weight management, and because I do weight training I would also take Supreme Whey Protein as a pre-workout or post-workout shake. 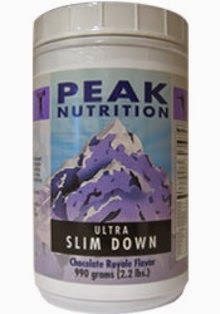 Not only does it build muscle, it helps my muscles to quickly recover from training. And I'm going to ask you a quick question. Would you like to have smooth, flawless skin? 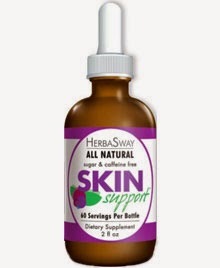 Well, Super Seven Skin Support works for me! Honest. You only need a couple of drops in water per day. So there you have it. All my little behind-the-scenes secrets to a healthy body and singing voice REVEALED! Thanks for dropping by, catch you in the next blog post! 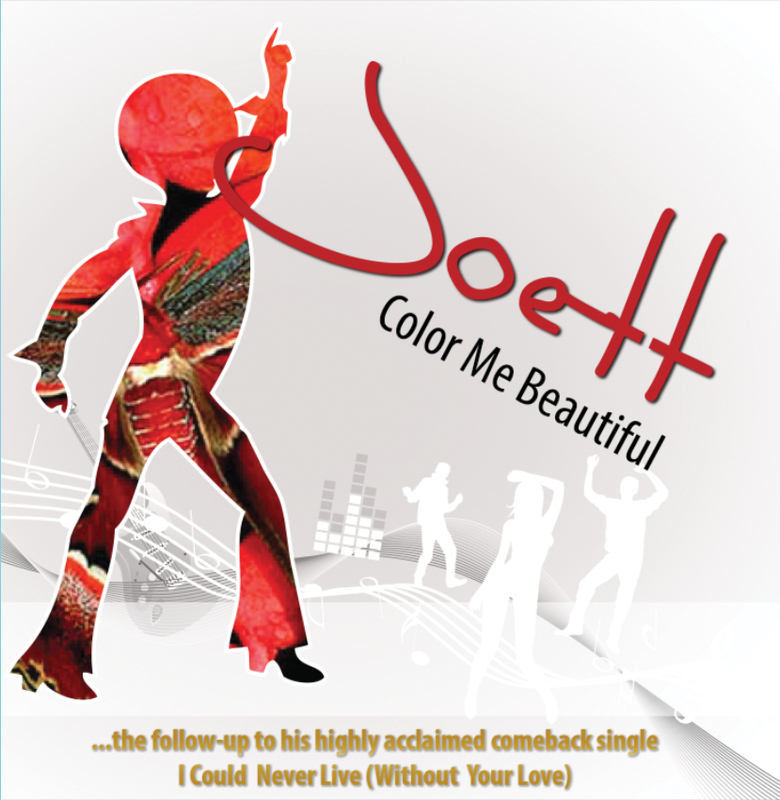 Download Joett tracks from iTunes, Amazon MP3, TuneCore. Buy Joett CDs from A Novel Idea Bookstores Dar, Zanzibar, Arusha. Nationwide CD distribution via Joett Music (Airtel Money, TIGO Money, M-Pesa). As my pop single Color Me Beautiful continues to get radio airplay across the United States and top US A&R and record executives continue to take interest, I thought it would be the perfect time to talk about the art of writing good songs. Because that's what it really is. It's an art. 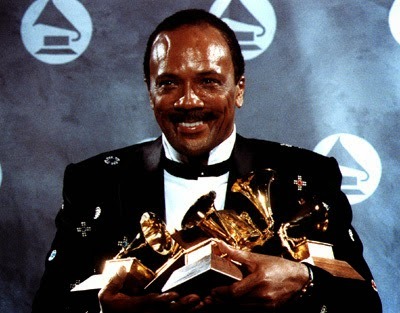 Grammy Award Winning songwriter Diane Warren once said, "I just love writing a great ballad, something so essential that it reaches across genres. You could almost say that the best songs are 'genre-transcendent' - they translate well into a variety of styles sung by different artists." A couple of things I want to point out to you from the outset. There is no formula to writing a good song. You don't have to adhere to a specific format, because then it becomes too rigid. Because at the back of your mind you're trying to conform to what you think is the way it SHOULD be done. What that will do is stifle your creativity like you wouldn't believe. So don't go there! Just allow your creative juices to flow and WRITE. else and try to pass it off as your own. I've seen people write this way and the astonishing thing is they were completely unaware that their inspiration was basically a copy and paste job from another artist's song. Get real! Do something that YOU create yourself. There's nothing wrong with drawing inspiration from another song, or a set of ideas but DON'T copy lick for lick. RECORD your ideas onto your phone as you go along. When an idea hits you, record it! Even if it's just a couple of lines or a lick, make sure you tape it. Ideas tend to vanish from your mind if you don't record them. I recorded all of Color Me Beautiful in bits and pieces on my phone over an extended period of time long before I even pieced the song together. So record your ideas. You'll be glad you did. And one more thing. A song needs a memorable hook. Something that people can remember about the song if they didn't remember anything else. Imagine the note "Saving all my love for you" in the Whitney Houston song. Now, if you don't remember the song, that part you WILL remember. And on that note, I wish you all the best with your songwriting. According to Digital Radio Tracker also known as DRT, a premier radio airplay broadcast monitoring service which tracks radio airplay of songs on more than 5000 plus radio stations worldwide (These stations include Major FM Terrestrial, College, Commercial and Non-Commercial as well as thousands of streaming Internet radio stations); in the past week from July 20th to July 26th 2014, Color Me Beautiful by Joett has been on rotation in the United States, on: KDGR - Dominion Hits Los Angeles, CA. KDOM - DJ Matrixx Tampa, FL. Party 105.2 Greensboro, NC. Power 99 Jamzz Houston, TX. Star 95.7 FM San Francisco, CA. V-100 FM Richmond, VA. and Wild 98 Dallas, TX. I am delighted and very excited that Color Me Beautiful, in a slow but steady fashion, continues to grow an audience around the world. Thanks to all of you who've given me your support since the release of the single on December 10th 2012. I think this is testament to the fact that a good song CAN grow legs and potentially garner the longevity it deserves. I will keep you posted on developments. I also want to thank my production team: Max Rioba (Authentic Records, Tanzania), Patrick Jonsson and Toby Warren (Ignition Sound, UK) who've all been an integral part of the creation process of Color Me Beautiful; and Meja (Sean Entertainment/Prime Films, Tanzania) for an absolutely outstanding video production. I couldn't have done it without you guys. Once again, a million thanks. You ROCK! My updated version of the Learn to Sing with Joett vocal training CD expands your use and benefits from using the program. The new version will be available on CD around mid August 2014. Hereunder are the variations of vocal exercises you can do with the program. The alternative to the VAAAGH scales is a piano recording with no vocals, that allows to switch your training to a hum (Mm), NA and also NO (pronounced NOU). Arpeggios vocal exercises on track 7 hereunder are your alternatives. Note all vowels have been isolated. And I’ve also added the lip bubble, tongue trills and humming (mm/nn/ng) to this as well. Remember, to find video demonstrations of these variations run a quick search on my blog or go straight to youtube to locate my illustration videos.